Time was running out, dragging enthusiasm kicking and screaming with it. We could have driven on to Auckland but the thought of finding parking for a camper van pushed us into a service station to consider our options. After scouring maps and camping apps we decided to turn off the main road and head towards Hunua. 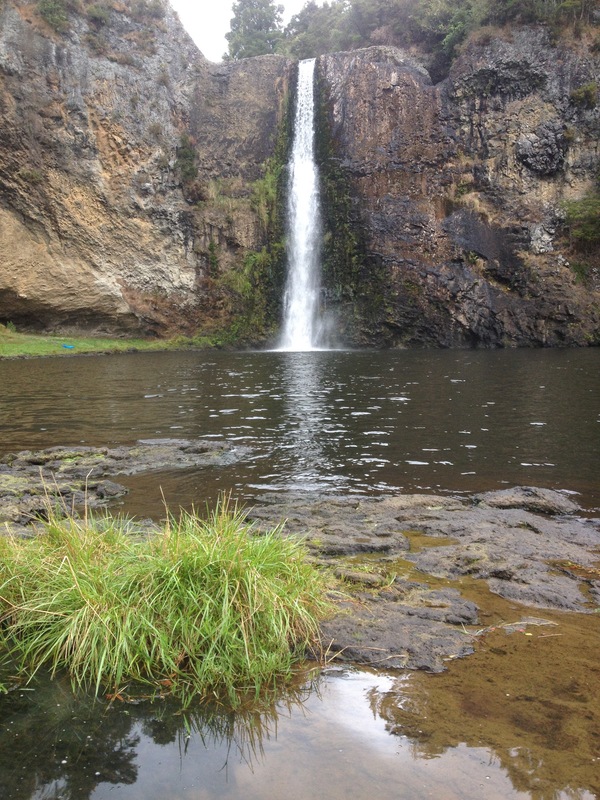 It was another car park with a nearby school activity centre and another towering waterfall. The narrow cascade plunged down the centre of a smooth, flat channel that suggested much larger volumes of water. The Hunua Falls, as with many of New Zealand’s water features would look somewhat spectacularly different when there was still snow on the mountains with melt water feeding the rivers and streams. I suspect the Hunua Ranges regional park beyond the falls was home to some spectacular walks leading to sensational viewpoints and lookouts across the Auckland region. The boiling excitement I had began with was reduced to little more than a simmer. I was no longer struggling to decide which window to look out of while driving through the country, in fact I’d started stealing naps in the front seat. There’s no doubt about when I peaked, the Tongariro Alpine Crossing marked the height and subsequent lapse in my own interest. The north island’s more human aspects of New Zealand’s attractions failed to keep me enthusiastic. 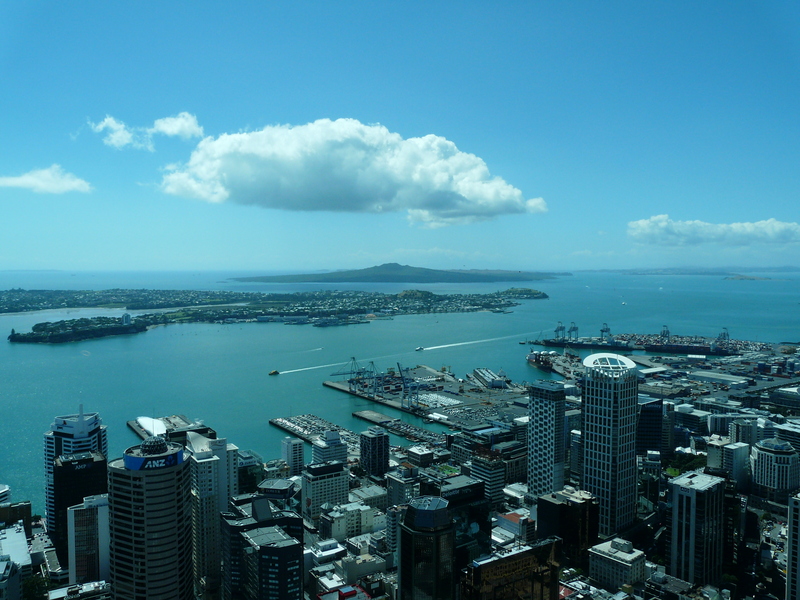 With only the city of Auckland ahead of us, I realised exactly what I had come here for. The millions of years of life before man, the valleys carved out of mountains, I had seen nature’s handiwork, I wasn’t interested in what man had to say on the matter. 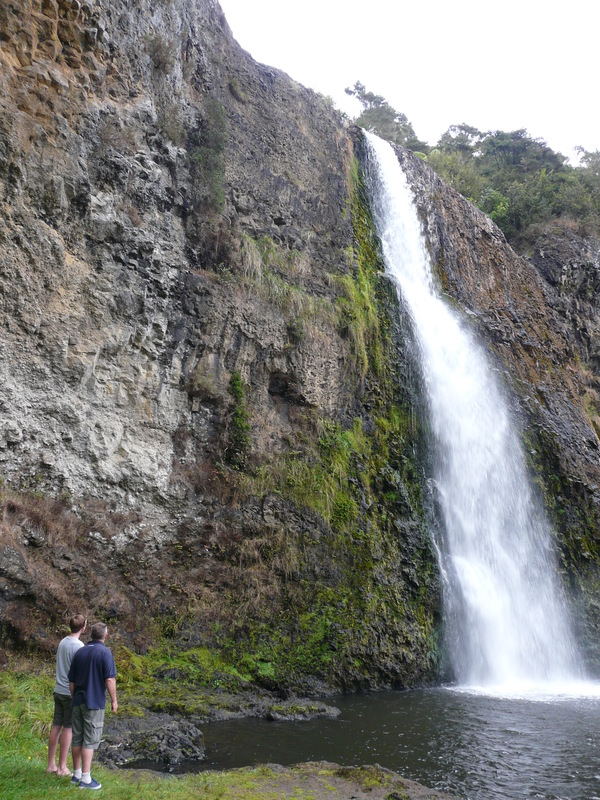 Hunua Falls served as a reminder to me, this was still a holiday and there was still more to see. Our final full day in New Zealand started early, awoken by the pounding of feet, voices chanting. Had we parked somewhere illegally? Were we about to be removed from sacred lands? It’s funny how abrupt, unexpected human activity early in the morning or late at night can drive you to irrational fear. The activity centre had the children up early, pushing them to run laps of the carpark. It sounded like a bootcamp. You wouldn’t get children up this early in the UK, not in my day that’s for sure! 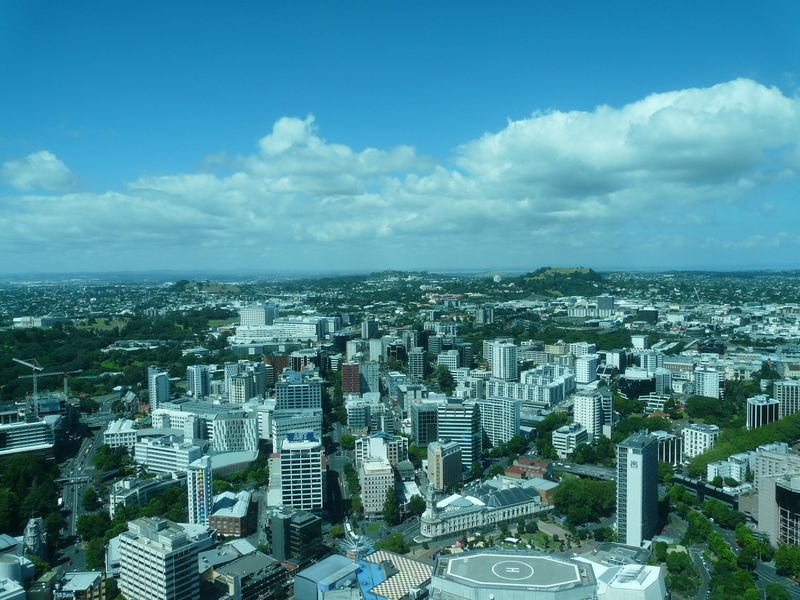 We drove into Auckland and endured the anticipated struggle to find somewhere to park. Eventually, I remembered I’d seen a posting online about a swimming pool car park walking distance from the city that was free and van friendly. We headed straight there. A few camper vans loitered, I was pleased we hadn’t decided to spend the night there. None of us really had an idea of what we wanted to do in Auckland, so we started walking towards the city centre in the hope inspiration would strike us along the way. 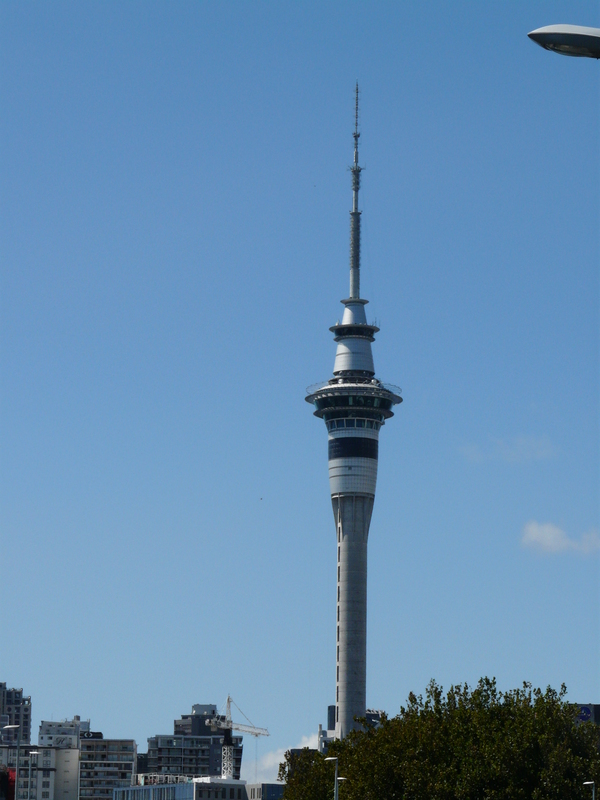 Mum, Dad and I decided we were going to go up the SkyTower to get some sweet views over the city and maybe get an idea of how to spend the rest of the day. Lisa has entered what appeared to the outsider to be a full blown strop about something or other. After she’d finished winding Mum and I up she went off to do her own thing. It’s a beautiful day, there’s a little haze on the horizon but we’re treated to some fantastic views across the volcanic cones, lagoons and rolling suburban Auckland. For the first time I find myself somewhere with all the appearances of a genuine city where people have office jobs and do things of seeming importance. More people live in the area I can see than the rest of New Zealand combined. It’s not overly rewarding in terms of what to do next. I came inches away from paying for a wet shave at a dangerously trendy barbershop, the need for an appointment the only thing stopping me. It was back to the van for the final time. We had to find a place to stay for the night before dropping it off and a delivery to the airpot. The four week journey was over. It’s all been a fascinating read and the images have been enthralling. Apart from your experience with sulphur it seems you have enjoyed it all. We look forward to your next adventure, map or no map. Thanks for sticking around for the journey! Hopefully plenty more on the way!